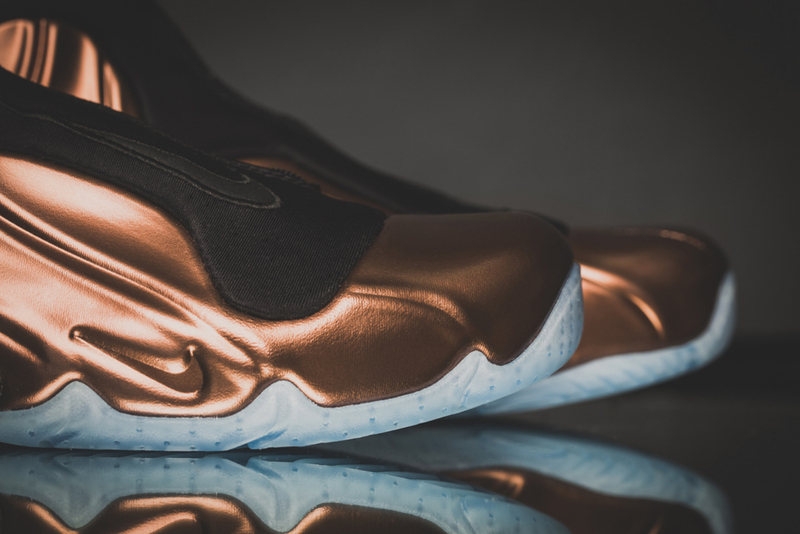 Our best look yet at the upcoming 'Copper' Nike Air Flightposite 2014. 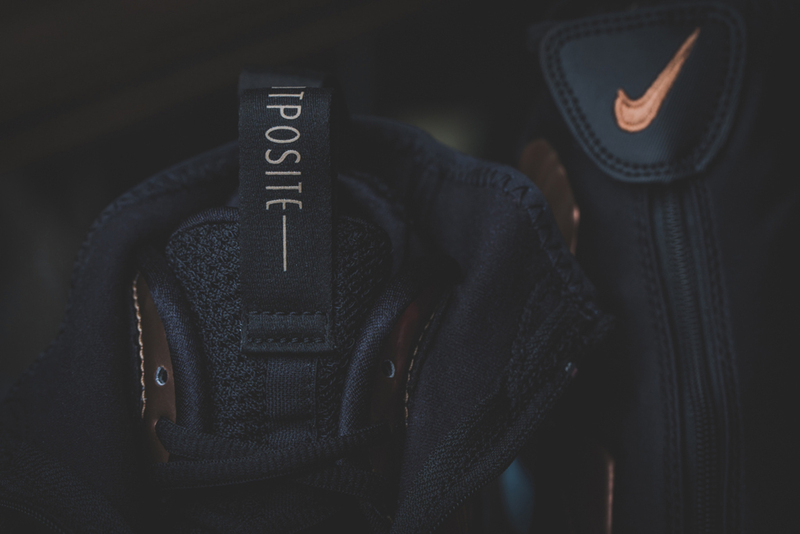 The Nike Air Flightposite I made its return earlier this year with the release of the 'Carbon Fiber' edition in February. 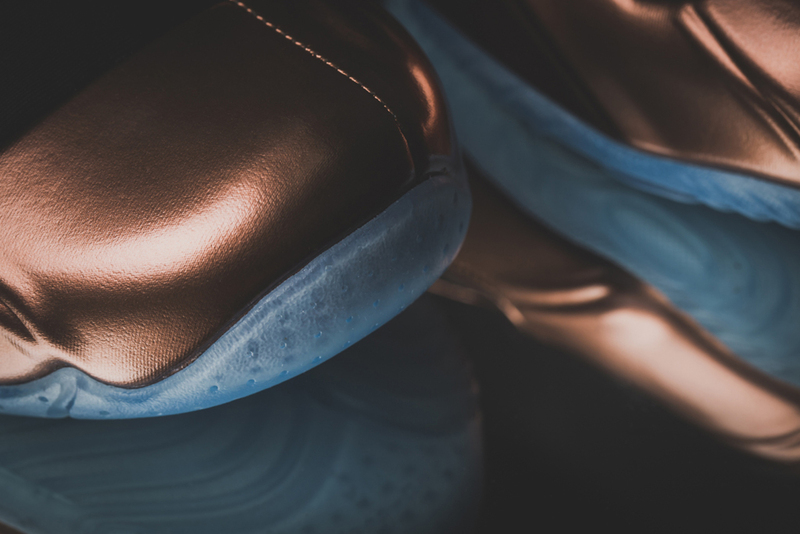 A 'Knicks' colorway followed a few months later and since then, things have been quiet for this late '90s classic. 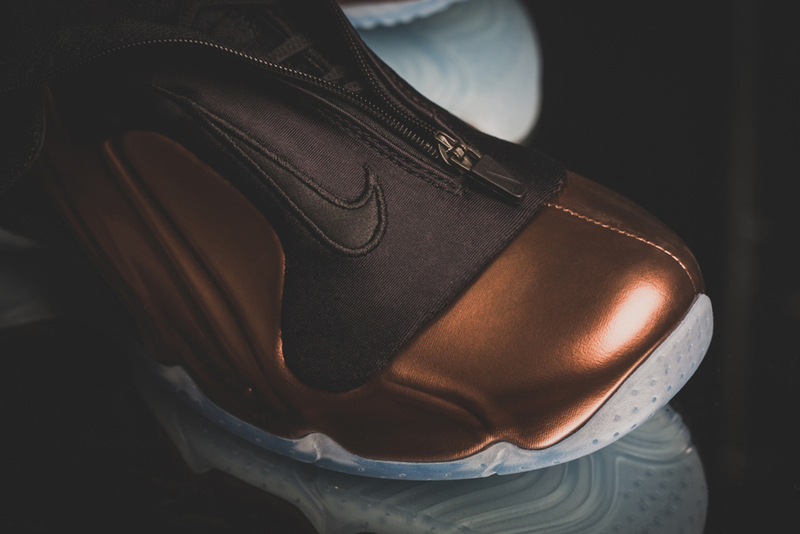 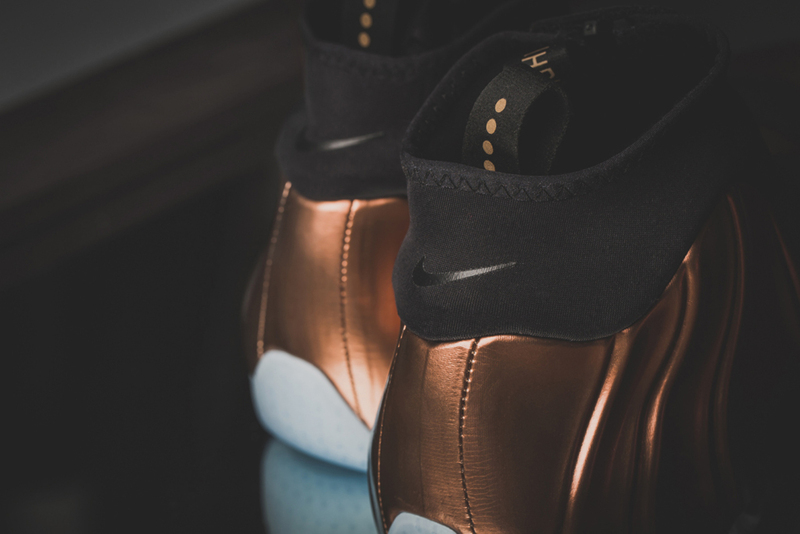 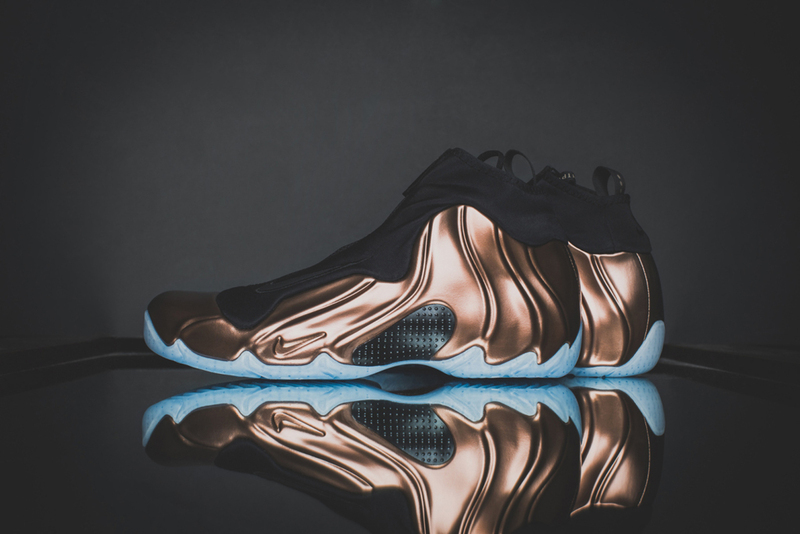 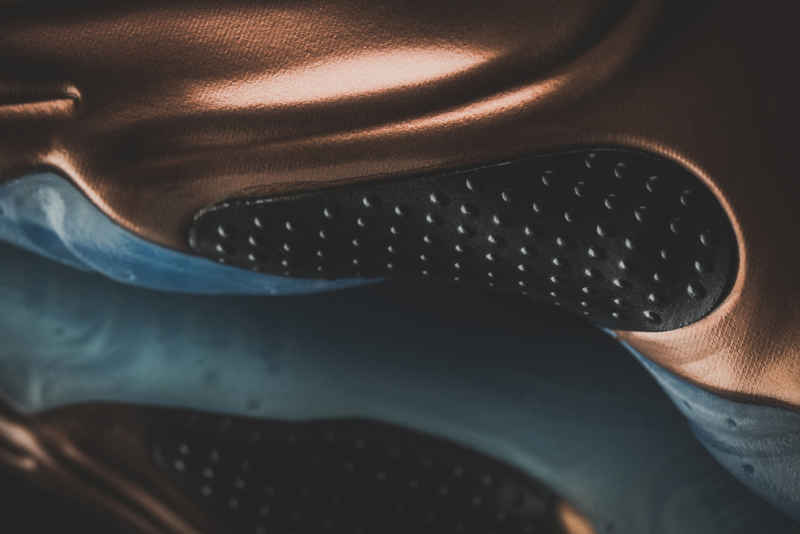 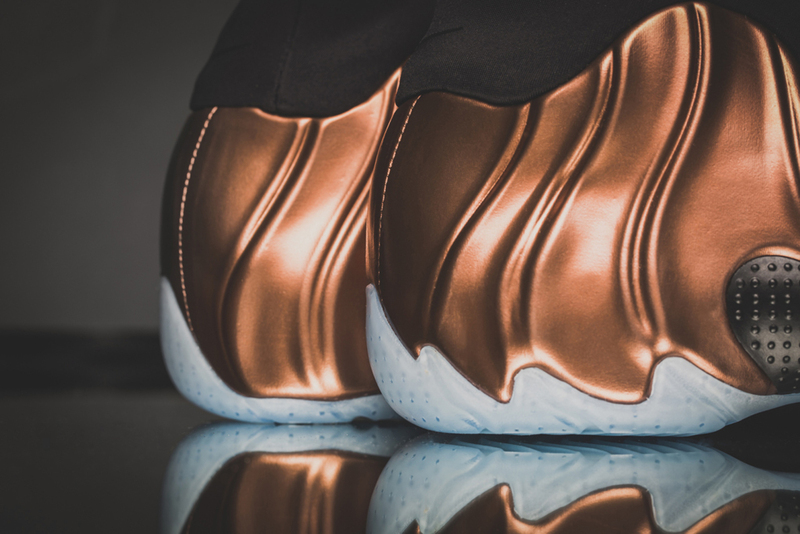 That is, until September when the popular 'Copper' theme comes to the Flightposite 2014. 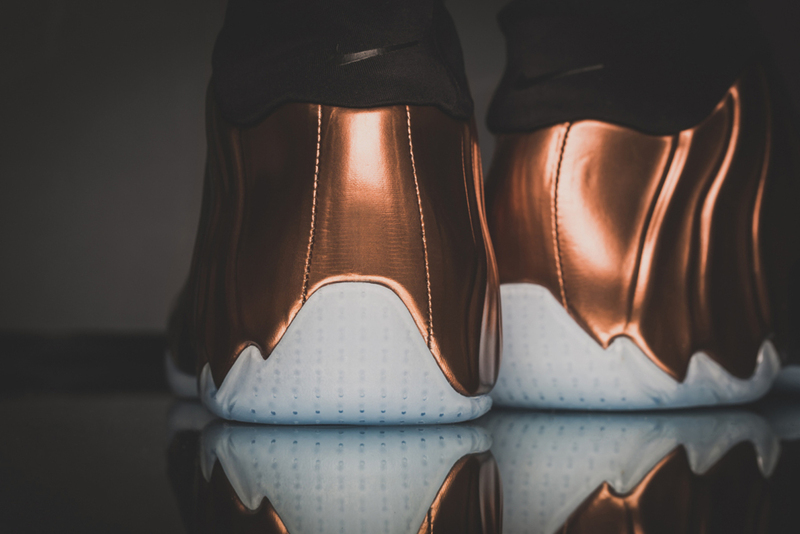 This pair features a metallic copper-based Posite upper with black accents, finished off by a full icy translucent outsole. 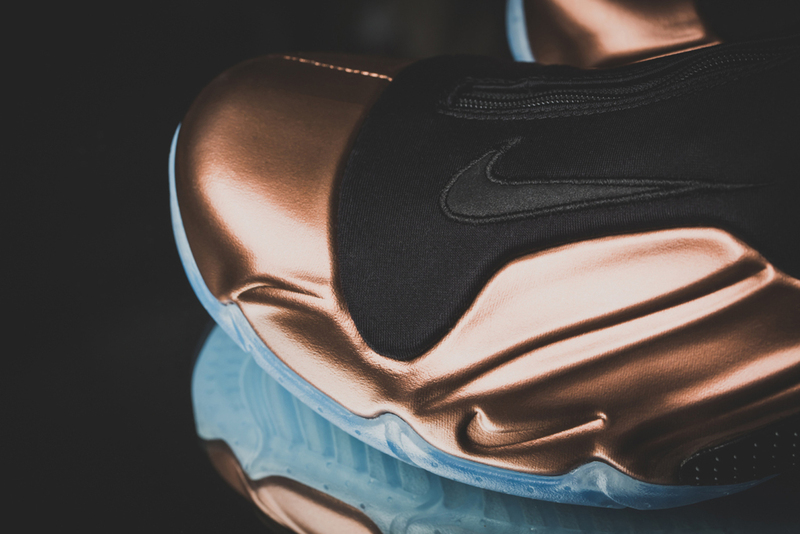 The 'Copper' Nike Air Flightposite 2014 hits nike.com as well as select Nike Sportswear retailers on Saturday, September 27 in limited fashion.